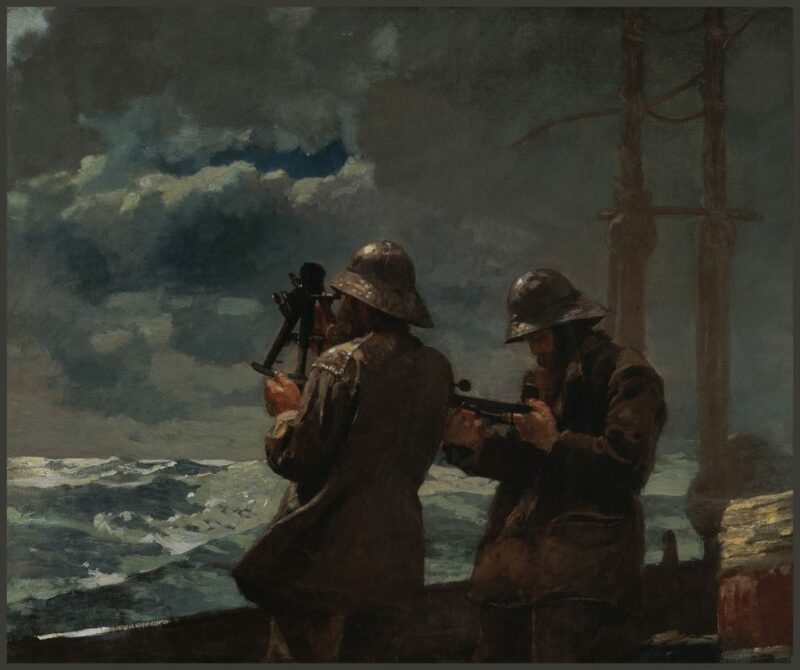 Bowdoin is looking at how the camera influenced Winslow Homer, while the Portland Museum of Art displays the work of photo school founder Clarence H. White. We treat photography as an accepted form of expression in the fine arts these days, but two just-opened exhibitions in southern Maine remind us that pioneers are required to establish customs and norms, and the role of the camera in the evolution of art in America has deep roots in Maine. This summer, the Portland Museum of Art is showing the work of Clarence H. White, a man from the American Midwest who came east, first to New York and eventually to Maine, where he opened an early school of photography. Though not a widely familiar name in the pantheon of fine art, White is a vital figure in American art history. The exhibition in Portland, “Clarence H. White and his World: The Art and Craft of Photography, 1895-1925,” spotlights his own “soft focus” images and his role as a linchpin for the acceptance of photography as a legitimate art form. It’s a traveling show with more than 100 images and ephemera, organized by the Princeton University Art Museum in New Jersey. In Brunswick, the Bowdoin College Museum of Art is taking a thorough and thoughtful examination of the role of the camera in the world of Winslow Homer, probably the best-known painter to ever call Maine home, whose paintings of the Maine coast are known around the world. Homer’s work as a photographer is comparatively unknown – and rarely seen. Originated by Bowdoin, “Winslow Homer and the Camera: Photography and the Art of Painting,” was inspired by the college’s acquisition five years ago of a camera that Homer used when he lived in Europe in the 1880s. It includes paintings, studies, drawings, prints and photographs that he made in the United States and in Europe and the Caribbean. It also includes two of the three cameras he owned in his lifetime, as well as other physical objects from his studio practice. The exhibition, said co-curator and co-museum director Frank H. Goodyear III, looks at how the camera influenced Homer when he made his paintings and became a part of his practice. Together, the two exhibitions create a dialogue that’s as relevant today as it was a century ago about the use of film and recorded imagery in art and when the use of such materials crosses over from being part of the creative process to becoming the final product. Their connections to the camera aside, the stories of White and Homer can be told simultaneously. Their lives overlapped, they concerned themselves with similar questions about photography and fine art, and they shared a love of Maine. 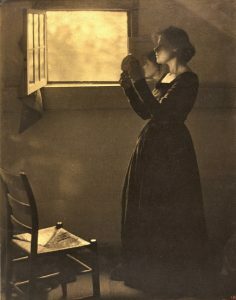 “Girl with Mirror,” by Clarence H. White, 1912, printed after 1917, varnished palladium print, 9 13/16 by 7 34 inches. Homer became somewhat adept with a camera in Europe, when he lived there over two years in the early 1880s. He bought his first camera while abroad, though no images from it survive. He also bought his second camera in Europe, in the city of Newcastle-on-Tyne, near where he stayed in the village of Cullercoats. 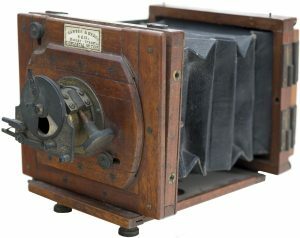 Both cameras were designed for amateurs as opposed to a studio photographer, and both were noted for the portability and ease of use. As far as anyone knows, one photograph from Homer’s England days still exists. It was taken in September 1882 and shows a man hoisting a sail on a fishing boat. The image is important, Goodyear writes, because it offers proof that Homer used photography to inform his paintings. Homer took that trip in his 40s, when he was seeking new directions in his art. Europe, or perhaps the camera, changed how he approached his work. 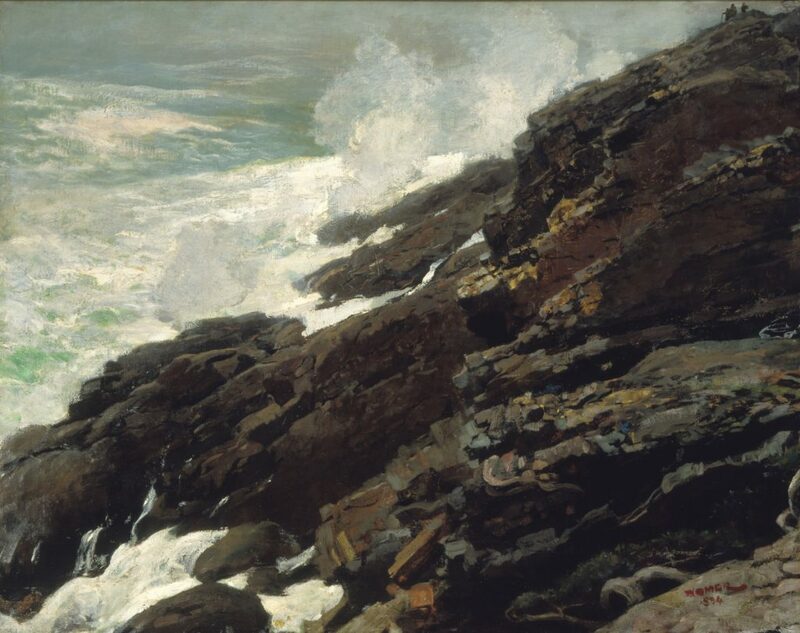 When he came back to the United States in 1882, he settled at Prouts Neck in Scarborough and began painting different subjects and with a different style. “Winslow Homer and the Camera,” on view through Oct. 28, questions how the new visual technology influenced Homer and how he incorporated photography into his creative practice. AT ROUGHLY the same time that Homer was experimenting with photography in Maine, out in Ohio an inquisitive young man was becoming active in amateur photography. Like a lot of other people in the country at that time, Clarence White joined a photo club as a teenager, intrigued by modern technology and the ability to create images. Untitled (Edward and Clara Steichen on their honeymoon, Newark, Ohio), by Clarence H. White, 1903, printed after 1917, palladium print, 9 by 7 inches. From the beginning, White saw his work as part of a larger art form, said Diana Greenwold, associate curator of American art at the PMA. 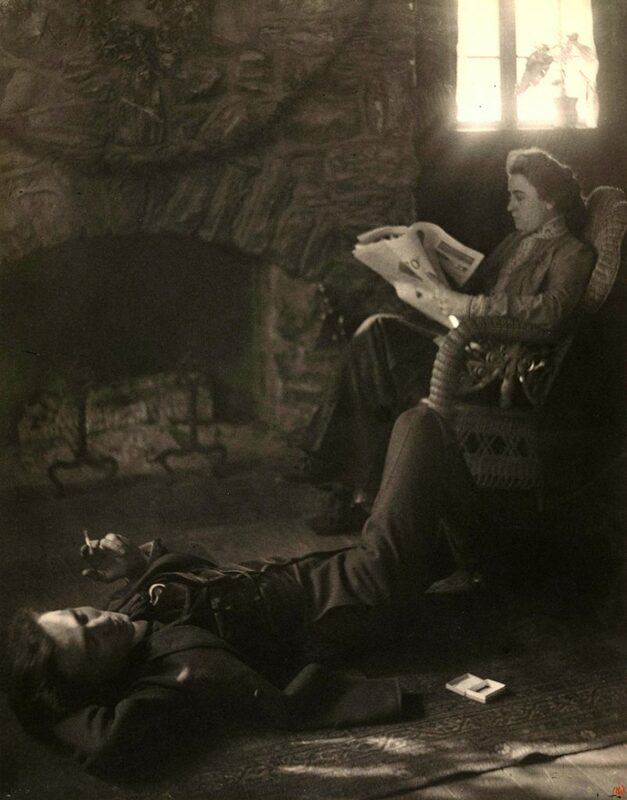 He was active in what was known as the Photo-Secession movement, spearheaded by New York gallerist Alfred Stieglitz and F. Holland Day, a photographer from Boston. Photo-Secessionists were considered rebels, because they espoused the notion of photography as art, Greenwold said, and they believed what was important in a photo wasn’t so much the subject, but how the photographer manipulated the image of the subject to suit an artistic vision. Untitled (illustration for All Aboard! 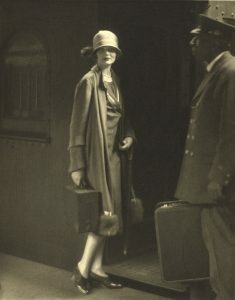 Woman’s Home Companion, July 1925), by Clarence H. White, palladium print, 95/8 by 75/8 inches. Their movement succeeded. They had their first exhibition in 1902, though it wasn’t until 1928 that the Metropolitan Museum of Art added photographs to its collection – and those came as a gift from Stieglitz that included master prints by Edward Steichen and images by White, Day, Paul Strand and others. By 1910 – the year Homer died in his studio at Prouts Neck – White had begun spending time in Maine, and that summer he launched the Seguinland School of Photography at Five Islands in Georgetown. That first summer, he attracted students from Ecuador, Egypt and across the United States. The school lasted only five years because White opened a permanent photography school in New York. But it helped establish Maine’s reputation as a destination for fine-art and photographic education. White’s idea of an art school wasn’t original – the artists of Ogunquit established the summer-school art tradition a decade earlier; the Portland School of Art, now Maine College of Art, began one year later, in 1911. But White was at the forefront of photography education in Maine, and in the century that followed his efforts here, Maine became and remains a place where photographers come to work.